Who will make Russia “great again”? Russia’s legal-rational establishment has yet to emerge. But the rise of Alexei Navalny demonstrates that when it does, it will inevitably be nationalist. Alexei Navalny attends the march in memory of murdered opposition politician Boris Nemtsov in Moscow, February 2017. (c) Ilya Pitalev / RIA Novosti. All rights reserved.There has been quite a bit of whiplash in the way Alexei Navalny, Russia’s most promising opposition leader, has been regarded. One moment, he’s touted as Russia’s Vaclav Havel, who is about to ride in on a white horse and drain the putrid Kremlin swamp. Then the next, we remember Navalny’s deep nationalist sympathies and freak out that he’s really going to be another Trump or Zeman, an anti-establishment populist who will, inadvertently or not, unleash a wave of xenophobic rage among his supporters if he comes to power. We watch his latest expose on Russia’s prime minister Dmitry Medvedev — a savvy, beautifully-made film on the wineries, estates and luxuries that Dimon (the film is titled “Don’t call him Dimon”, as if to suggest that Putin’s one-time placeholder is far too classy to be called by a diminutive, colloquial name) squirreled away under someone else’s identities — and we secretly wish The Future Belonged to Navalny. Then we hear Navalny make some decidedly illiberal remarks about Russia’s tolerance towards immigrants from Central Asia and migrants from the Caucasus, a region which he has previously insisted that Moscow should “stop feeding”. If we are seriously looking for a viable alternative to Vladimir Putin, this is confusing. Fighting corruption in one of the most corrupt countries in the world is good. But being all right-wing about it — i.e making anti-minority overtures — is bad, especially given that the Russian Federation is home to 21 ethnic republics and significant numbers of migrant workers from the former Soviet periphery. The trouble here is that our attempts to pigeon-hole Navalny politically are derived from an understanding that Russia is going through the same existential battle currently playing out in the west, where so often a populist, nationalist authoritarian figure is seen as defeating the liberal, legal-rational establishment. The establishment that the Bolotnaya protesters were against, in other words, was illiberal, irrational and not even corrupt because tax farming was the bedrock of the system itself. In some ways, Putin’s dominion was already a kind of primordial Steve Bannon universe — where Church and State were one, where uppity women in coloured tights were imprisoned for dancing in a cathedral, where Power was mystical, merged with money, and flaunted the Law. By the time “late Putinism” set in, there were no functioning institutions to deconstruct even if you wanted to. Putin, much like a populist, rules by appealing directly to people’s emotions (if not directly to the collective subconscious) rather than appealing to rational self-interest, as most democratically-elected leaders seek to do. But if the new western populists tended to be nationalist, Putin appears to be an exception. Aside from some vague, albeit worrying, rhetorical overtures to nationalism and a dangerously incoherent penchant for exploiting, then discarding, nationalist groups, the Kremlin wasn’t intrinsically nationalist. Imperialist maybe, but, given that Putin tends to use the word “nation” where “empire” applies better, not fully nationalist. With so many internal ethnic republics, and with inter-ethnic riots like the one in Moscow’s Biryulyovo district in 2013 on the rise, the Kremlin couldn’t afford to be. This was why the Kremlin cracked down on nationalist groups. And this was why so many nationalist groups opposed the Kremlin in general and began joining the liberal Bolotnaya protests in particular. 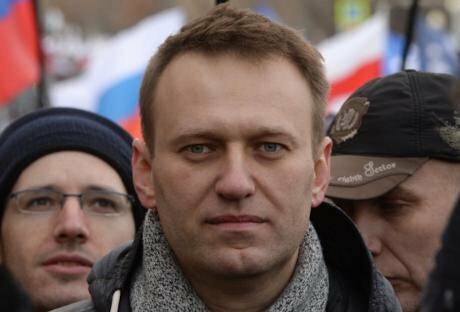 Navalny, a lawyer, a representative of the cosmopolitan creative class and generally a liberal, also had a foot in the nationalist camp. And so, when one of the big Bolotnaya protests featured a column led by the nationalist DPNI, the Movement Against Illegal Immigration, Navalny, pragmatic enough to know which way the wind was blowing, marched proudly alongside its leaders. 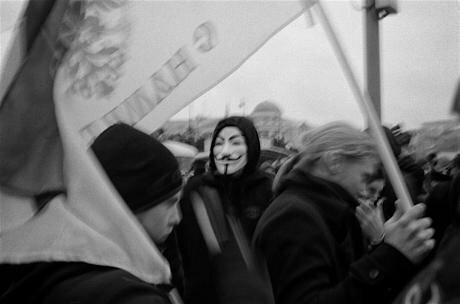 A group of nationalists during a protest in Moscow, December 2011. Photo CC-by-NC-ND-2.0: Misha Maslennikov / Flickr. Some rights reserved.This convergence of nationalism, anti-corruption and legalism became particularly evident in 2016, when Novorossiya rebel commander Igor Strelkov, a former Russian FSB officer, returned from Ukraine and headed up an anti-Kremlin nationalist movement. A major point in the manifesto of this movement concerned the independence of the courts in particular and rule of law in general. This legalism next to the nationalist and even imperialist rhetoric about the unification of the “Russian World” may sound counterintuitive. But it’s worth remembering where many of the supporters of the Donbas separatists came from. 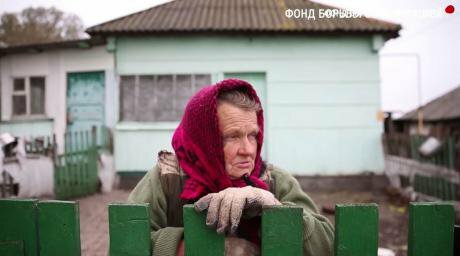 Some were economically, culturally and personally involved with friends and family members who lived across the border in east Ukraine, but they were also concerned with the effects of growing economic inequality back home. “Tsar, their lives are more important than your wallet,” read a placard at a pro-separatist rally in Moscow in 2014. This slogan encapsulated the sentiment of standing up for Russian interests at home and abroad and being anti-Putin at the same time. It remains an open question whether Navalny will be allowed by the Kremlin to run for president in 2018 — the authorities have a penchant for shutting down court cases against Navalny based on how many people turn out in the street in his support, and then reigniting them. What is more important in the long run is that Navalny has managed to tap into popular attitudes regarding the way the Kremlin rules Russia — that is, through corruption — and actually start changing them. .Though Navalny didn’t spell it out explicitly, these scenes served to amplify Russia’s stark economic inequality on the one hand, and the habits of some of the country’s most downtrodden members to normalise that inequality. The film — and the painstaking efforts of Navalny’s Anti-Corruption Foundation in general — are not just about exposing Medvedev’s hypocrisy in his anti-corruption drive while president. They are challenging a persistent normalisation of kleptocracy that has become deeply ingrained in Russian political culture as an everyday coping mechanism — one that, in turn, colludes with the Kremlin’s exploitation of Russian citizens. Opinion surveys throughout Putin’s rule paint a depressing picture of a majority of Russian citizens who expect that corruption will increase, in effect viewing it as a “normal” phenomenon. But we should note an important change over the past ten years — a steady increase in the number of citizens actually concerned about corruption (from 24% in 2005 to 39% in 2013, according to this Levada poll). This trend suggests a growing cognitive dissonance that, at some point, has got to give: you can’t, after all, continue normalising something you are increasingly becoming concerned about as a problem. But if Russian citizens’ awareness of corruption is growing, so is their distrust of people who migrate. The same poll showed a stark (seven percent in 2005 to 27% in 2013) increase of people who were most concerned by immigrants and migrants. While these are not, objectively speaking, structurally related concerns, they correlate in the minds of many Russian citizens. For instance, one of the chief concerns among demonstrators in the violent protests in Biryulyovo in 2013 and on the Moscow Manezh in 2010, which both erupted following the deaths of ethnic Russian citizens, was that the police would not bring the suspected perpetrator to justice because he was a migrant worker from Central Asia — the police force was believed to be too corrupt to stand up to ethnic diaspora groups. This logic is racist, but the experiences (corruption) that inform that racism are real. And this flows into another aspect of the appeal of Russian nationalism: the persistent suspicion among patriots that Putin is actually acting in interests other than those that might be understood as ethnically, culturally, and geopolitically “Russian”. These suspicions — that Putin was somehow under the spell of “fifth-columnists” in the government that “needed to be purged” — often manifested themselves in fiery statements made during a 2014 pro-separatist rally in Moscow by imperialist demagogue Alexander Dugin and the United Russia deputy and head of the ultranationalist National Liberation Movement Evgeny Fyodorov. If Navalny is to succeed, he will have to exploit the divide between the nationalists’ mistrust of the Kremlin on the one hand, and the idea that Russia’s rulers are somehow inevitably kleptocratic on the other. Currently, he is successfully straddling this divide. Navalny’s Anti-Corruption Foundation (FBK), with its painstaking, legalistic approach to exposing corruption among Russian state officials operates under the assumption that there is nothing normal about people in power stealing money from the population they are mandated to rule. Most of all, the FBK team seek to bolster existing institutions and the supremacy of rules by operating according to Russian laws and legal norms, not abstract concepts imported from the west. Navalny’s film, and the millions of Russian citizens who watched it, suggests that that this assumption is infectious. But this comes with a darker side of the same coin — Navalny’s appeals to deep-seated and growing insecurities about immigration are a reflection of a malaise that can only emerge in a country that has always been an empire, but never a nation. As such, the growing affection for the prospect of a legal-rational, lawful Russia goes hand in hand with the belief that it should be for “Russians” only. The question that remains is: how far will this nationalism go?